If you’ve been convicted of a misdemeanor or felony in San Bernardino County, our law firm can reopen your case and expunge your San Bernardino criminal conviction. We handle everything, from the very start, through the very last hearing, at a flat price you can afford. A successful expungement will improve the rest of your adult life. It’s not something to take lightly or to trust to the lowest bidder. The San Bernardino court has its own local rules when it comes to expungements. And each branch, from Barstow to Victorville, from San Bernardino to Rancho Cucamonga, has different procedures. Misdemeanor expungements are handled one way, while felony expungements are handled another way. After 25+ years of practice, we know all the San Bernardino expungement rules, and we put our knowledge and experience to work for you. If you’re ready to change your life or escape the mistakes in your past, do it once and do it right. You owe it to yourself to invest in the best San Bernardino expungement lawyer you can hire. We believe that’s us. No office visit is necessary. We handle everything, including the court appearances without you needing to attend. Start your San Bernardino Expungement today. “This is FANTASTIC NEWS!!! We are so excited!! 17 years! I’ve never known my adult life to know anything other than this on my record! FYI… Today I also celebrate 19 years of meeting my wife as well as her 34th birthday… What a wonderful way to end the night! 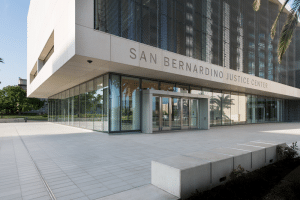 If you've been convicted of a misdemeanor or felony in San Bernardino County, our law firm can reopen your case and expunge your San Bernardino criminal conviction. We handle everything, from the very start, through the very last hearing, at a flat price you can afford.